Business Insider carries its top 10 “dumb”/false/bulls**t science stories of 2013. (Turney and his Ship of Fools easily qualify for such a list but will have to wait for next year). My particular favourite is of the Nigerian “Chibuihem Amalaha, an award winning student at the University of Lagos, is claiming that he’s “disproved” gay marriage through science — and he used the power of magnets to do so. His “groundbreaking” work is backed by the university”. But that’s not all. Amalaha, who says he’ll win a Nobel prize one day, has also used chemistry, biology, and mathematics to disprove gay marriage. In mathematics which is another core area of science, I used what is called the principle of commutativity and idepotency. Commutativity in mathematics is simply the arrangement of numbers or arrangement of letters in which the way you arrange them don’t matter. For example, if you say A + B in mathematics you are going to have B + A. For example, if I say two plus three it will give five. If I start from three, I say three plus two it also give you five showing that two plus three and three plus two are commutative because they gave the same results. That shows that A + B will give you B + A, you see that there is a change. In A + B, A started the journey while in B + A, B started the journey. If we use A as a man and use B as a woman we are going to have B + A that is woman and man showing that there is a reaction. A + B reacted, they interchanged and gave us B + A showing that commutativity obeys that a man should not marry a man and a woman should not marry a woman. If you use idempotency, it’s a reaction in mathematics where A + A = A. Actually in abstract algebra, A + A =2A but we are less concerned with the numerical value two. We are more less concerned with the symbols A, you find out that A + A will give you A showing that the whole thing goes unchanged. It didn’t change unlike commutativity A + B give B + A there is a change. A started the journey in commutativity and A + B gave us B + A and B started the journey after the equality sign. But in the case of idempotency A + A will give you A showing that it goes unreacted. You started with A and you meet A ,the final result is A. Showing that a man meeting a man A + A will produce a man there is no reaction, it goes unreacted and in chemical engineering you have to send the material back to the reactor for the action to be carried out again showing that it goes unreacted. That is how mathematics has shown that gay marriage is wrong because commutativity proves that gay marriage is wrong. Idempotency also proves that gay marriage is wrong. So these are the principles I have used to prove gay marriage wrong in physics, chemistry, biology, mathematics and by the grace of God I am the only one that has proved this in the whole world. The practice of science in today’s “publish or die” world together with the headlong pursuit of funding leaves me somewhat cynical. My gut feeling has always been that it is the “social sciences” which are plagued most by the “irreproducible study” sickness but it seems to be prevalent across many more disciplines than I would have thought. Poor studies in neuroscience – it would seem – are followed by “meta-studies” to summarise the poor studies and are in turn followed by analysis to prove that the studies are not significant. And poor studies with irreproducible results would seem to be the norm and not the exception. Brain studies are the current darling of the sciences, research capable of garnering tens or even hundreds of millions in new funding for ambitious new projects, the kind of money that was once reserved only for big physics projects. Except the house of neuroscience, which attracts tens of thousands of attendees each year to the annual meeting of the Society for Neuroscience, may be built on a foundation of clay. Those are the implications of an analysis published online April 10 in Nature Reviews Neuroscience, which questions the reliability of much of the research in the field. The study—led by researchers at the University of Bristol—looked at 48 neuroscience meta-analyses (studies of studies) from 2011 and found that their statistical power reaches only 21 percent, meaning that there is only about a one in five chance that any effect being investigated by the researchers—whether a compound acts as an anti-depressant in rat brains, for instance—will be discovered. Anything that does turn up, moreover, is more likely to be false. ….. Idiot science? Urban vegetation decreases violent crime but not theft! Correlation and causation again! Correlation does not necessarily mean causation and even real causation may not give any correlation. The authors are from the Department of Geography and Urban Studies, Temple University, United States. And they get paid for this? The explanation, the authors say, is twofold: One, green spaces encourage people to spend more time socially outdoors, which discourages crime. It’s especially helpful for crime control when young and old people mix together in public places. And two, the presence of plants has a therapeutic effect. Vegetation decreases mental fatigue and its associated symptoms, such as irritability and decreased impulse control, both considered to be precursors to violence. This “plant therapy” mechanism is bolstered by the Philadelphia findings. The most violent of the crimes studied, aggravated assault, was most strongly correlated with a neighborhood’s degree of greenness, while the least violent crime, theft, showed no association. This could indicate that it’s a violent mentality itself that green spaces are discouraging. That hypothesis needs further study. And that last line is the giveaway. No, every idiot hypothesis does not need further study! Posted in Behaviour, Solar science | Comments Off on Idiot science? Urban vegetation decreases violent crime but not theft! A weekly post on things that were interesting or which I would have liked to have blogged about ……. It seems that human infestation by guinea worms is sharply down pointing to the success of the program to eradicate them. Carl Zimmer writes an obituary for this creature which will not be missed (by humans) if it becomes extinct. But why is it that the intentional eradication of species inimical to man is perfectly OK, but the demise of other species which have failed to adapt and can no longer compete is considered a catastrophic loss of bio-diversity? In genetic survival terms the guinea worm or the mosquito might well be more important than tigers or panda bears. There are those who would swear that the science of climate is well understood and settled. But it seems we know very little about clouds indeed and that bacteria which survive in the upper atmosphere could be one source for the nucleation of clouds. In the same vein, it seems that irrigation in one area can cause storms elsewhere. A new study shows that agricultural irrigation in California’s Central Valley doubles the amount of water vapor pumped into the atmosphere, ratcheting up rainfall and powerful monsoons across the interior Southwest. The British Museum and the Smithsonian teamed up to prove that their two crystal skulls, purportedly made by Aztecs in Mexico prior to Columbus’ arrival. are actually fakes. Kim Ryholt shows that in the ancient Egyptian city Tebtunis, 2,200 years ago, people voluntarily entered into slave contracts with the local temple for all eternity and they even paid a monthly fee for the privilege. New findings suggest that free-ranging cats are likely the single greatest source of anthropogenic mortality for US birds and mammals. Dienekes suggests that even with a generations long selective breeding program to select for Neanderthal genes, achieving a 100% Neandertal might be impossible. NASA will use the International Space Station that to test expandable space habitat technologyand will test a Bigelow Expandable Activity Module (BEAM), which is scheduled to arrive at the space station in 2015 for a two-year technology demonstration. As they become easier to acquire and use, one of the obvious benefits of 3D printers is their ability to distribute the tools of production and manufacturing to the masses. But what they’re used to produce can create legal, regulatory, and even ethical concerns. The PowerBuoy is a “smart” ocean-going buoy that uses piston-like motion in the float relative to its stationary spar to mechanically convert energy into electricity as it rides the waves. The status of Harvard College’s investigation of student cheating has been distributed to faculty, staff and students by Arts and Science Faculty Dean Michael D. Smith. Academics at the Institute for the Study of Coherence and Emergence are at war with an anthropologist at University of California at Berkeley and alleging that he stole ideas. Needless to say the UC Berkeley investigation report exonerates their own. The Commonwealth Scientific and Industrial Research Organisation (CSIRO), Australia’s national science agency, may face further scrutiny into accusations of bullying and harassment of scientists and other employees. Funding agencies may be paying out duplicate grants, according to an analysis by Harold R. Garner, Lauren J. McIver and Michael B. Waitzkin. Forbes dumps on the unfortunate Lisa Jackson. With the rapid growth of misconduct cases, scientific rehabilitation may have to become a necessary tool for research-integrity offices. Half a million DVDs of data could be stored in gram of DNA according to Harvard researchers. Unfortunately the credibility of the claim is severely impaired since this comes from the lab of Dr. George Church of Neanderthal baby fame and I have to take even the memory claim with a large bushel of salt. Dr. Church seems very keen on publicity just now. (This item almost made it to the Bad Science category but the memory item gets the benefit of the doubt). The Neanderthal nonsense was taken down comprehensively by Svante Pääbo and others of the Neanderthal Genome Project. Protons are 4% smaller than was thought and new particles are expected to be found. Ferdinand Balfoort posts on Stockholm’s violent past from the peaceful present and a New Zealander is causing waves with his campaign to rid his country of cats. One hundred and one year old Fauja Singh will run his last marathon in Hong Kong in February just before his 102’nd birthday, but plans to continue running for 4 hours a day. Scrolls of 2,000 year old Buddhist texts have been found preserved on long rolls of birch-tree bark and written in Gandhari. Against conventional wisdom earthquakes can occur even at zones considered stable and this is what may have happened in 2011 when the magnitude 9.0 Tohoku-Oki earthquake was followed by a devastating tsunami. 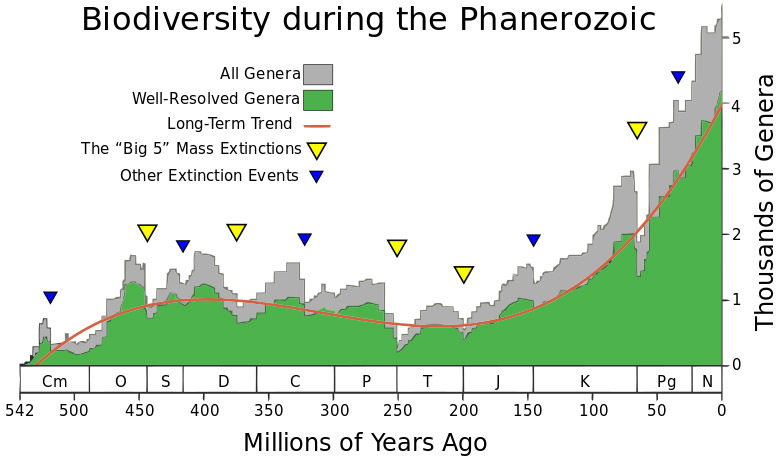 Alarmist conservationists would like us to believe that humans are on the verge of causing a catastrophic loss of biodiversity but as with most alarmist dogmas, extinction rates of species are not as bad as has been assumed. We all believe to some extent that looks reveal traits and humans have been associating facial features with criminality for at least 2,000 years (“Cassius has a lean and hungry look”) and “scientifically” for at least 300 years. But a new study debunks some of the myths. Comet ISON was discovered by Russian astronomers Vitali Nevski and Artyom Novichonok in Sept. 2012. It bears the name of their night-sky survey program, the International Scientific Optical Network and NASA reckons it could be spectacularly visible in broad daylight this year. On Nov. 28, 2013, this “dirty snowball” will fly through the sun’s atmosphere little more than a million km from the stellar surface and if it survives it could be a grand display. Are Asians disadvantaged in US academia and industry? Lilian Gomory Wu and Wei Jing think so. The makings of some new urban myths lies in that those who multi-task are least capable of multi-tasking. Being blinded by the sun low in the sky is a pretty common hazard while driving here during winter in Scandinavia. But the development of Haptic steering wheels which vibrate could help solve this problem until cars are built that drive themselves (and they are closer than one might think). French car manufacturer PSA Peugeot Citroen believes it can put an air- powered vehicle on the road by 2016. The system works by using a normal internal combustion engine, special hydraulics and an adapted gearbox along with compressed air cylinders that store and release energy. This enables it to run on petrol or air, or a combination of the two. A team of scientists from Scotland and the Czech Republic has created a “tractor” beam – a la Star Trek – which for the first time allows a beam of light to attract objects. Materials science has always been in symbiosis with the other sciences at the transition from science to engineering and the discovery of metamaterials which can bend light, X-rays and radio waves promise a wide array of new applications in radio communications, security and automotive safety and now in imaging. Paul Brookes was forced to take down his Science Fraud website last week after receiving legal threats (from some who later retracted – or had retracted – the papers that ScienceFraud exposed). Now he is marshalling support to open a new web-site to expose bad science. The European Food Safety Authority (EFSA) is accused of bowing to political pressure in a study of bee decline which implicates some specific insecticides. The insecticide manufacturers are not amused. A study on the impact of banning affirmative action (a pseudonym of course for discrimination) seems not only misguided but also one with a high level of confirmation bias. It looks like advocacy posing as science. Geoffrey K. Pullum takes bad science backed up by bad journalism at the New Scientist and the Washington Post severely to task. 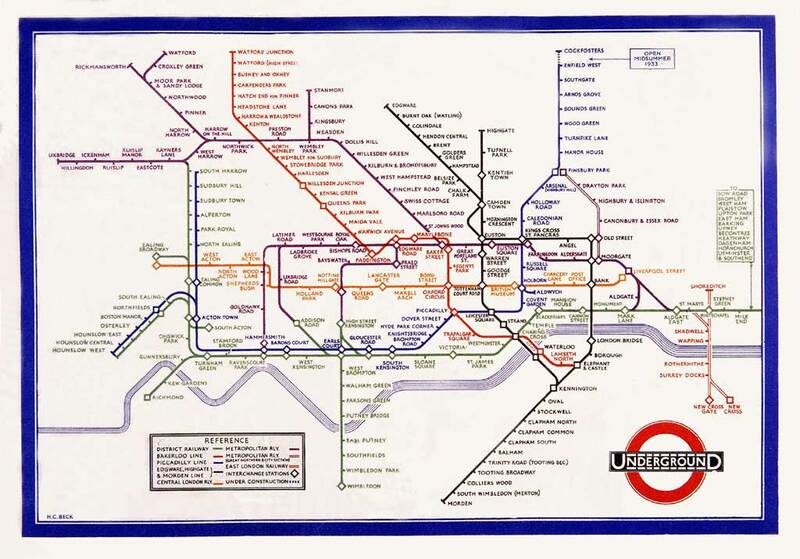 The London Underground is 150 years old and the iconic London Underground Map is a work of some genius – by an electrical draughtsman Harry Beck – in focusing on connections and ignoring geography. Boeing is facing a torrid time with the 787 Dreamliner and has stopped all further aircraft deliveries. This is going to hurt their cash flow even before all the claims from the airlines come in for the grounding of their aircraft. The advent of hydraulic fracturing and the consequent availability of shale gas means that new lines are drawn on the energy map of the world and many of the oldest and most stable geopolitical truths will be turned on their heads. If graphene turns out to be the wonder material that it promises to be then it is time to invest in graphite. The dangers with blindly assuming that correlations represent a causal relationship is well demonstrated by this study on milk, chocolate and Nobel prizes. Derby Proctor believes that chimpanzees have a sense of fairness but her “ultimatum game” experiments were not strictly ultimate games at all and are not convincing. Altruism among chimpanzees is – if it exists at all – strictly limited and only after basic needs are satisfied and restricted to a very few. The curious case of Zuma’s deputies deals with the intricacies of politics in South Africa and in the ANC today. An interesting post on the French need to be relevant in the world and Hollande’s adventures in Africa. How much of the chatter on Twitter or postings on Facebook are real communication and how much is noise? Nandana Sengupta looks at the pluses and the minuses of the explosion of opinions via social media in India. Having spent a lifetime with contracts I have always taken “terms” of “terms and conditions” to signify “limits of time” but terms and conditions have now converged in usage to be almost identical in meaning. On where Tolkien may have found the word “hobbit”. Michael Marotta describes four books on bad science. The British Met Office makes yet another misstep and demonstrates that massaging science to get a desired result makes for bad science. Climate models are hardly worth the paper they are printed on and they don’t seem to have any idea of how to handle the effect of clouds. Models – which are pushing the alarmist cause – generally assume they have a positive feedback on global warming but in reality the feedback is negative. My hope is to make “Noted in Passing” a regular, weekly post but I am not sure if I will have the discipline to maintain it. I shall try to confine myself to 3 topic areas: “Science and Behaviour”, “Engineering and Technology” and “Bad Science”. I’m trying to avoid politics as a topic in its own right but politics may well creep in under “Behaviour”. Polar bear numbers world-wide are up and here’s a marvellous image of a polar bear in winter. Some people apparently believe that too much genetic information could be a bad thing. Virginia Hughes disagrees strongly and I am inclined to agree with her. Genetic sequencing is here to stay and even if interpretation may lead to new challenges and new dilemmas, this genie cannot be stuffed back into the bottle. Why did our fingers eveolve wrinkles? Was it perhaps to better be able to grip smooth objects? John Hawks begins his descent through Darwin’s Descent of Man and has posted his “introduction” which is fascinating and – especially for a layman like me – eminently readable. “Experts” in my opinion are those who explain and not those who try to mystify (usually to inflate their own egos). David McNeil believes that a gesture-speech unity lies at the origins of language but I am not convinced. When speech began – and that is a story in itself – gestures may well have added to man’s vocabulary but I am skeptical as to the role of gesture in the development of language and the grammar associated with language. But what seems obvious to me is that for the origins of speech as well as the origins of language we have to look to the increasing need for communication as the driving force. In the meantime miR-941 is now being slated as a specific gene that contributed to how early humans developed tool use and language (in contrast to the FoxP2 gene which is thought to be a more general enabler). A study by psychologists claims that language learning begins before birth but I think they jump far too quickly from sound recognition to language learning and the study does not convince. Recent excavations at an Australian site provides evidence of inhabitation ” certainly” at 41,230 years ago with the dating of charcoal found at the site. However the earliest inhabitation was much older since stone tools were found in deeper layers than the charcoal, but these have yet to be dated. This seems more consistent with the main human expansion Out of Africarabia first happening before Toba. Even bloggers on the right are questioning the US love affair with semi-automatic weapons but I don’t expect any significant change to the gun laws in the US anytime soon. Good grief! Greg Laden believes that summer in the Southern Hemisphere must be a sign of global warming. It’s -6°C outside my window right now and its been snowing in Jerusalem and the Lebanon, so I suppose the Northern Hemisphere must be entering a Little Ice Age. The luminosity of our Sun varies just 0.1% over the course of its 11-year solar cycle. There is, however, a dawning realization among researchers that even these apparently tiny variations can have a significant effect on terrestrial climate. Tony Phillips from NASA comments on “The Effects of Solar Variability on Earth’s Climate” issued by the National Research Council. The technology for drones that today are used to kill could have more peaceful purposes. A Dronenet for a human free package delivery service is attractive and does not sound so absurd. Livefist reports that Airbus has beaten out the Russians to win the Indian Air Force’s new generation of mid-refuelling tankers while Boeing is still going through teething troubles with the 787 Dreamliner. The pressures on the supply of neodymium, dysprosium, and other rare-earth metals for the manufacture of strong magnets is leading to a surge in the use of nanotechnology to find alternatives. Another idiot study about how our fists evolved in response to fighting! An excellent takedown by T. Ryan Gregory. “The most impressive thing about this study is that it managed to gain so much attention with so little substance”. ChemBark has this update on serial data fabricator Bengu Sezen who has been hired by the Gebze Institute of Technology. Simon Kuper has some sympathy for Diederik Stapel who now finds himself in an unforgiving Dutch society. His take on the Stapel affaire is in the FT. The American Psychiatric Association would seem to be in thrall to the pharmaceutical industry as DSM -5 is adjusted to sell more drugs. John Hawks has a scathing post about Mark Lynas as “someone who had never read a scientific study on the subject, purporting to be an advocate in the popular press, and having his ignorant statements printed widely by multimillion-dollar media organizations” and the shoe fits whether Lynas is pontificating about GMO or global warming. Further retractions of social psychology papers: “Fraud committed by any social psychologist diminishes all social psychologists” and reinforces the view that social psychology is mainly for headlines and is still a long way from being a science. Most junior scientists accept academic theft by their advisors as a way of life and only a very few decide to make any noise about it.